In the Hua Xia University's Medical Department's Leading Affiliated Hospital, Mo Wen looked at the empty bed. His icy cold expression became even colder. Mo Wen looked over at w.a.n.g Xiaofei and enunciated each and every word while asking. w.a.n.g Xiaofei retracted her neck and looked at Mo Wen's murderous gaze, which made her so afraid that she could not even speak clearly. "I… I… don't know either…"
That penetrating coldness had caused her to have the urge to escape from Mo Wen's side immediately. w.a.n.g Xiaofei appeared a little fl.u.s.tered. How could Xiaoyou, who was so perfectly good and well disappear? Where could she have gone? "Qin Xiaoyou was still alright and receiving treatment in the hospital the day before." Mo Wen had the urge to throw w.a.n.g Xiaofei out the window. She commonly dubbed herself as Qin Xiaoyou's good friend, yet even after a few days of not seeing her, she did not even know that Xiaoyou had now disappeared. "I went home yesterday… l didn't think that it would be like that… Before this, I would drop by to check on her everyday…"
w.a.n.g Xiaofei's eyes were red as she said this. She was a day school student, and her house was right in the capital. Every week, she had to go home and collect her weekly portion of living expenses. Yesterday, she had gone home, so she had not gone to visit Xiaoyou. Just as she thought of going over today to accompany Xiaoyou by chatting and talking, she had already disappeared. A nurse walked into the ward and was preparing to look after the patient in the neighboring hospital bed. In the end, when she had just entered, a figure blocked her. In the next moment, a cool air ambushed her midway, and she unknowingly landed herself in a cold war. "Where has the patient from this bed disappeared to?" Mo Wen pointed to Xiaoyou's hospital bed and asked. "She… She was discharged already yesterday…"
That nurse subconsciously took a step back and pulled the distance between her and Mo Wen further. This person was just too cold, and there was an unexplainable fear that had arisen within her heart. Mo Wen squinted his eyes slightly. Qin Xiaoyou had sustained major injuries, and her illness had yet to recover, so how could she have been discharged? "That's right. The patient voluntarily applied to be discharged, so our hospital had no choice." It appeared that the nurse had been the one looking after Qin Xiaoyou previously, so she had a better understanding of Qin Xiaoyou's situation. As she said that, she took out a piece of paper from the file and pa.s.sed it to Mo Wen, before saying, "This is the patient's Disclaimer of Liability for being discharged. The hospital had not agreed, but she was very stubborn, so we could only relent." "In the afternoon yesterday," the nurse said, a little apprehensively. Mo Wen directly turned around to leave the hospital. Just as he left the hospital, he b.u.mped into Shen Jing, who was heading over from the opposite direction. "Mo Wen, how is Xiaoyou's situation?" Shen Jing asked anxiously. She could not really comprehend the reason behind Mo Wen coming out so hurriedly soon after entering. "She's not in the hospital. She had already been discharged yesterday afternoon," Mo Wen said, with his face darkened. Qin Xiaoyou not being in the hospital was surely because she had run off somewhere. Disfiguration was too big of a blow for a girl. A deep sense of self-blame washed over Mo Wen. Although Qin Xiaoyou getting hurt may not have had anything to do with him, he should have gotten rid of that b*stard Su Boyu first before leaving the capital. "I'll go and find her." Mo Wen took big strides and left. Within a short while, he had disappeared into the crowd. That whole afternoon, Mo Wen looked for Qin Xiaoyou in all sorts of places. However, he had no leads at all. It was as if her entire person had vanished into thin air. Her house, the places she loved to frequent usually, the places she could possibly be in had all been searched by him, and yet he could not find her. At night, Mo Wen returned to his dormitory expressionlessly. 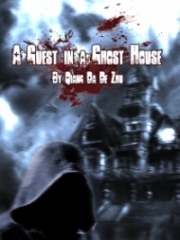 He scanned the main living hall before directly pushing open the door to Dongfang Yi's room and entering without holding back. The people in this dormitory all had weird personalities. Normally, they would not drop in to one another's rooms, and did not allow one another to casually enter their rooms either. However, Mo Wen could not care about this so much today. "Don't you know that your actions are very rude?" Dongfang Yi was holding on to a gla.s.s of red wine, and there was a laptop be his side. As usual, he had a leisurely and sinister appearance. "It is rumored that there is nothing that you cannot find out about as long as you wish to. You are dubbed as the first-generation know-it-all of the Jianghu." Mo Wen's gaze lowered as he went straight to the point. "What issue are you facing?" Dongfang Yi's mouth curled upwards. There were so many people that wanted a favor from him, enough to fill the oceans. But one with a mindset like Mo Wen's was a first. "Help me investigate the whereabouts of Qin Xiaoyou," Mo Wen said dully. "Qin Xiaoyou? You mean that disfigured Campus Beauty?" Dongfang Yi raised his eyebrows and ponderingly looked at Mo Wen. What had that girl got to do with Mo Wen? It was the first time in the history of Hua Xia University that a Campus Beauty had been disfigured within the campus. Moreover, it was the Campus Beauty that had come in third place. A cold look flashed through Mo Wen's eyes. He took in a deep breath but did not say anything. "I can investigate Qin Xiaoyou's whereabouts. However, the remuneration is not meager. We'll talk about the investigation only after settling the terms." 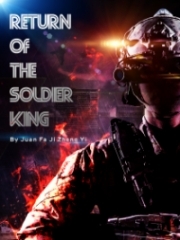 Dongfang Yi flicked at the dust on his pants and the edges of his mouth curled upwards. With a flash, Mo Wen's entire body had appeared in front of Dongfang Yi. In the next moment, his hand had grabbed on to Dongfang Yi's collar, and he was lifted up. A scary and violent aura exploded thoroughly and engulfed Dongfang Yi in a moment. The entire room's temperature dipped severely, and the water in the cup had turned into ice immediately. 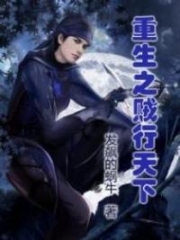 Dongfang Yi's expression changed drastically, and in that moment, he wanted to escape, but he was so afraid that he realized he was unable to evade him. That scary aura was like a wave that had inundated him, and his body was suppressed so much so that he was unable to move at all. It was the ultimate suppression of the soul that was so high and mighty that it could not be resisted. He had never witnessed such a frightening aura before. A person's aura could actually be so valiant. Just what kind of person was he? The ma.s.sacre spirit in the most vigorous of the Northern Devil was a small thing in comparison to him and was not a worthy object of comparison at all. Such a spirit and depth of the threat was so valiant that it should only be witnessed in the enduring masters. Why had it appeared on Mo Wen? The two waves of Qi, hot and cold, had penetrated into the body of Dongfang Yi. It had a crushing force all the way, and Dongfang Yi's later stage of the Sea of Qi realm and the cultivation of his Inner Qi was completely unable to defend against it. In fact, they were defeated one by one. In the blink of an eye, that odd cold air and hot air had been driven into his body. With that combination, the Inner Qi in his body had been sealed off completely. "If there's anything to say, let's talk about it properly…"
The edges of Dongfang Yi's lips twitched a little and he smiled bitterly while saying, "Don't be agitated. Let's talk over things calmly. Since we are dormitory mates, I can also help you investigate on Qin Xiaoyou's whereabouts for free." With just a breathing technique, he had been completely under Mo Wen's control without even a little bit of ability to retaliate. At this point, other than relenting, what other choice did he have? The thing that had shocked him was that just two weeks ago, Mo Wen had appeared to be of the Embryonic Breathing realm. How could it be that just after a few days of not seeing him, his cultivation had evolved into such a scary stage? 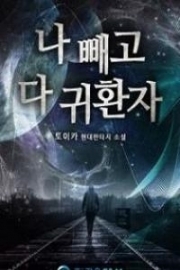 Currently, it appeared that Mo Wen's Inner Qi was not at all weaker than his. In fact, it was much stronger. That two waves of Inner Qi, hot and cold, were so imposing that it was frightening. Moreover, aura was so scary to have such a frightening presence and the ability to suppress the spirit! Could it be that he had been hiding his abilities previously? 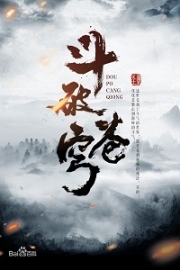 Mo Wen being so enigmatic really made Dongfang Yi feel that Mo Wen was becoming more and more mysterious. Mo Wen threw Dongfang Yi onto the sofa and said coldly, "I will make up for the remuneration in the future. Currently, I require the status of Qin Xiaoyou. Right away." Dongfang Yi helplessly reached for his phone and walked out. In the face of a stronger person, what other choice did he have? 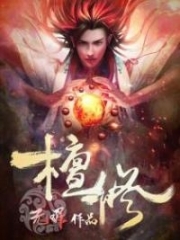 You're Read Invincible Kungfu Healer Chapter 135: Finding online at NovelOnlineFull.com. You can use the follow function to bookmark your favorite novel ( Only for registered users ). If you find any errors ( can't read,broken links, can't load photos, etc.. ), Please let us know so we can fix it as soon as possible. And when you start a conversation or debate about a certain topic with other people, please do not offend them just because you don't like their opinions. You're reading Invincible Kungfu Healer. This manga has been translated by Updating. Author(s): Azuresky. Already has 529 views. Current Time is 18-Apr-2019 12:28:01 PM.